The Amish Hardwood Medium Legacy Mirror will shine brightly in any room of your home. 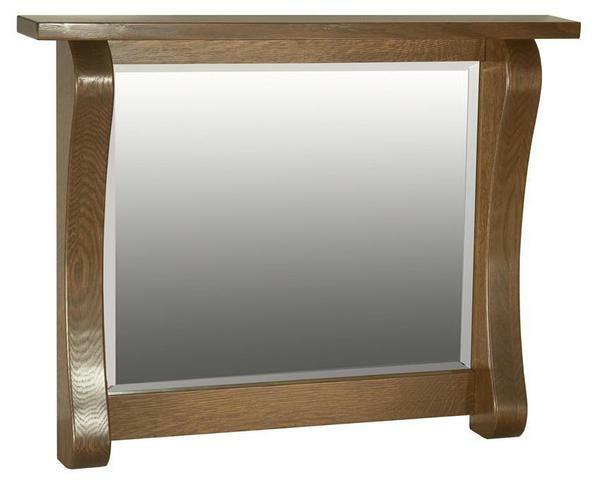 This custom made mirror is a beveled beauty handcrafted by skilled Amish craftsmen in your choice of wood and stain. All of our Amish furniture is made with family and function in mind. Select the mirror that will serve you best from our collection of Amish Mirrors. Consider all the benefits your decorative mirror provides. Call one of our Amish Furniture Specialists today toll-free at 866-272-6773 with any questions. We are happy to assist you. 33" x 4" x 25.5"